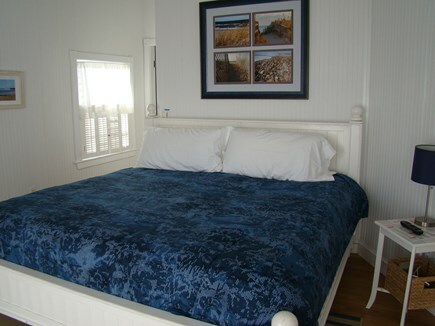 Master bedroom with private bath, ocean front balcony & cable tv. Second ocean front bedroom with balcony and cable tv. Comfortable outdoor living with hot/cold shower. Eat, Drink and be merry while relaxing by the sea. Skip the bridge traffic on the weekends! 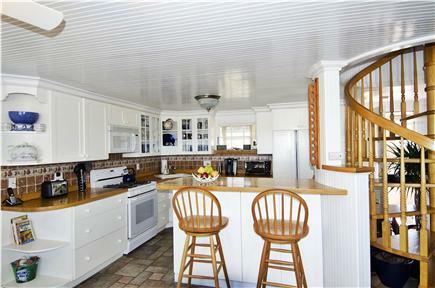 This pristine home is ocean front and available all four seasons. The same charming seaside community as you would find on the Cape over the bridge; the upper Cape Cod home allows you to start your vacation earlier without sitting in hours of traffic to get over the Sagamore bridge. 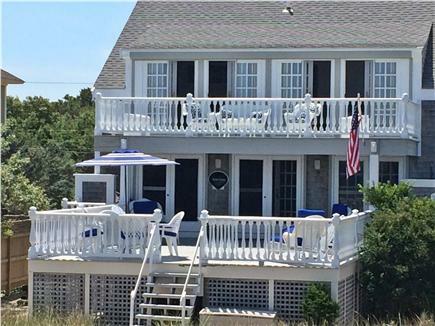 Huge ocean side deck, screened in front porch and a second floor balcony are just a few things to boast about. 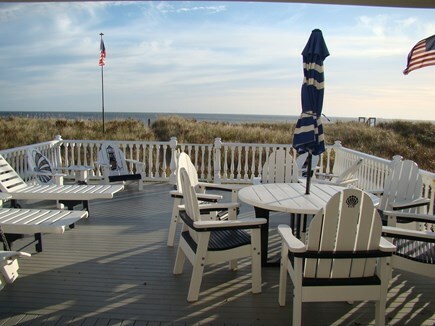 Ocean side deck provides comfortable furniture, gas grill and outdoor shower. Inside the living/dining room surrounds a beautiful field stone fireplace and spiral staircase. 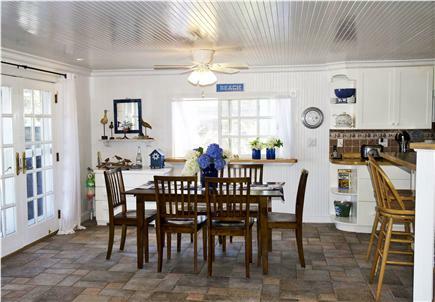 Fully equipped country kitchen with breakfast bar and dining table. The large front yard with perennial garden, granite bench and koi pond allow an escape from the sand; all with off street parking. Private child-safe beach with a jetty just feet away give the kids a place to explore while always within view. 3 sets of French doors opening onto the ocean side deck with beautiful ocean views from both floors. So you don't have to pack everything but the kitchen sink for your vacation we have pack and play cribs, a portable crib, high chair, stroller and potty chair. Check in Saturday at 3pm, check out following Saturday by 10:00am. Additional availability info: Available year-round. This is a Saturday to Saturday vacation rental. Additional pricing info: the EARLY GLORIOUS WEATHER SPECIAL----Call about discounts for weeks in April and May!, State and local taxes of 12.45% will apply. 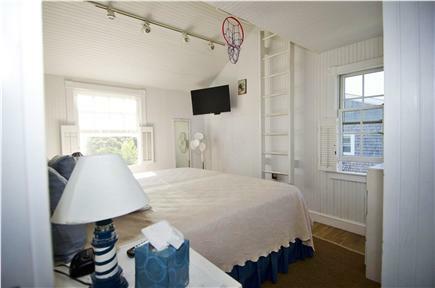 "The Perfect Cape Cod getaway"
We rented this house for a week in August, and we were extremely pleased we chose this rental property! It far exceeded our expectations! 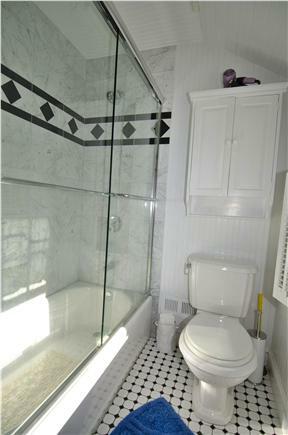 The home is spacious, very clean, comfortably furnished, and well appointed. 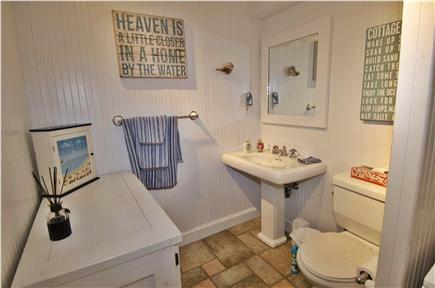 It is beautifully decorated to give you that true "beachy" feel. The large deck had plenty of seating for the entire family to gather for meals, game playing, quiet evening talks, and star gazing. 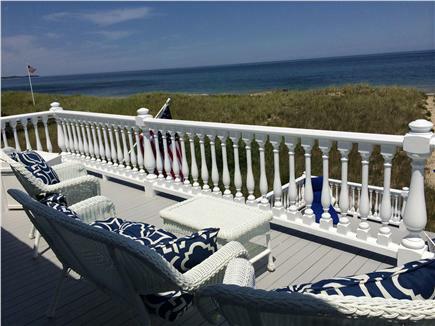 The views from the upstairs balcony were beautiful, a perfect "Cape Cod" scene with the water, sea grass, beach houses, and of course, the American flags flying in either direction as far as one can see! Perfect family vacation! The Beach House is absolutely beautiful! 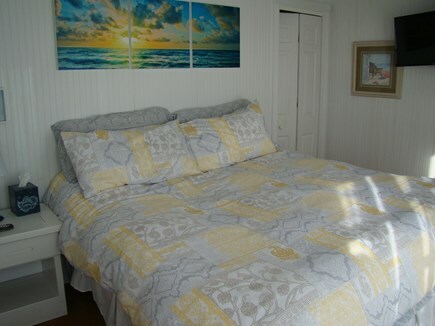 Warm, cozy, and full of all that you need for an ideal beach vacation. The beach is just a few steps away. Ocean views are spectacular. Truly a piece of heaven on earth! Thank you for your review and we're thrilled to be able to accommodate your family vacation. We're looking forward to having you again next summer! Happy Fall and we'll see at the Beach 2016! We really enjoyed our stay at the beach house for the 2nd year in a row. When traveling with two kids under 2, finding a good vacation spot is impossible but this house had every single thing we could of asked for down to the kiddie chairs on the deck! You only need to bring your clothes. The private beach can't be beat and the location is a joggers paradise as it's right next to the canal. We already booked for year number 3! 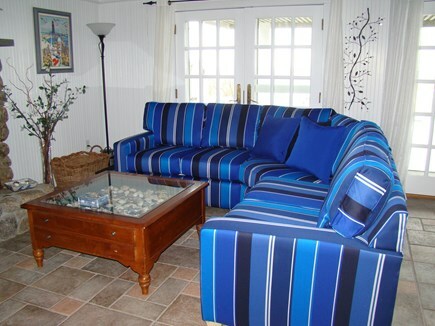 We're so glad you enjoyed our Beach House and would love to have you visit again! Thanks for taking the time for the review. Looking forward to seeing you next year. 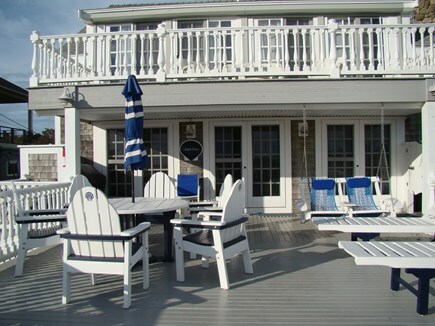 We again enjoyed another beautiful off-season stay at this wonderful house on Sagamore Beach. 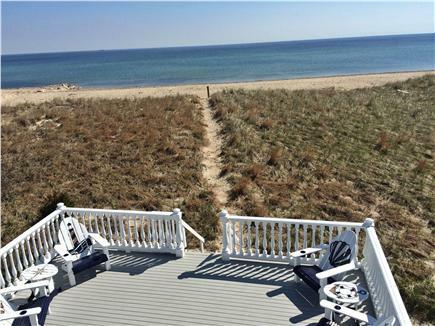 The new owners have made some nice upgrades to the house and even left the stairs to the beach in for the winter. The house is well maintained and appointed. A well stocked kitchen made for easy breakfast preparations. The beds were comfortable, and our daughters enjoyed the high speed internet. The miles of sandy beach make for fantastic walking and sea glass/shell seeking. Thank you for taking the time to respond to your past experience, and I hope you will compare it to your new experience this year. Yes, the property is under new ownership and we have gone to great lengths to update it in order to accommodate our guests. There is new central air-conditioning, washer, dryer, pots and pans, flat screen tv, advanced cable, wi-fi, game consoles, etc. This is our home away from home and we want you to feel the same way. If there's anything we can do to accommodate your stay, please do not hesitate to contact us directly. We had a fabulous stay!!!! 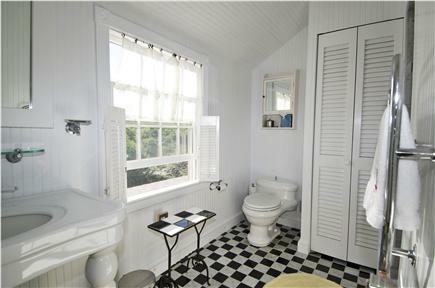 The location is peaceful but accessible to everything Cape Cod. Restaurants, shopping, whale watching, boating and many beautiful beach walks with treasure discoveries. The only thing we missed was not being able to have a bonfire. We love the Cape and have stayed at several different places. We love Sagamore Beach the best. Less hustle, unless you want the bustle!!! Thank you for taking the time to write a response. We are thrilled that you enjoyed your stay. Like you, we love a fire, however it's against the law on the beach because of the sea grass:( We're working on an alternative for the fire and hope that you will be able to visit us again. We hope to meet you at the Beach!